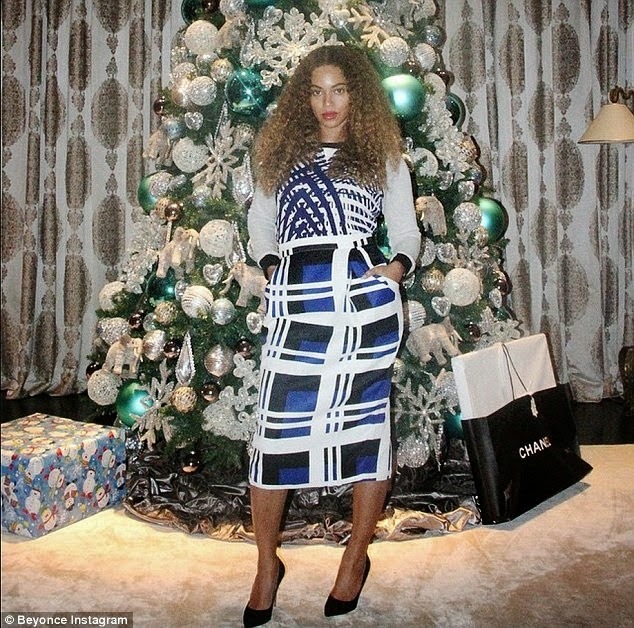 Beyoncé is going for simple and stylish with her recently completed Christmas tree which she showed off on her social media last night. The tree is mostly decorated with green and silver trinkets and baubles with just a couple of presents underneath it for now. 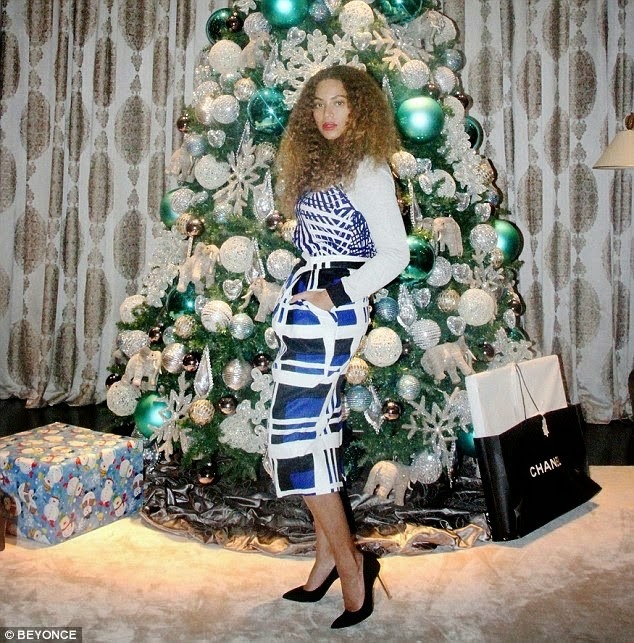 The 33-year-old posed in front of her very glamorous Christmas tree with her blue and white print outfit setting off the shiny green balls, silver and crystal balls, glass tear drops, snowflakes and even stuffed toy elephants adorning the tree. See more pics after the cut.